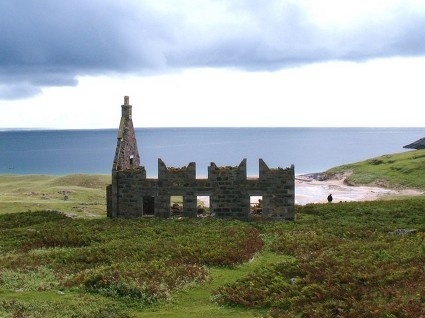 There are few places in the British Isles that are more grim, isolated and ill-omened than the barren isle of Mingulay in the Outer Hebrides. Located 12 miles south of Barra, it is known for its important seabird populations, including puffins, Black-legged Kittiwakes, and razorbills, which nest in the sea-cliffs. Today, iron age remains on the island offer mute testimony to the two thousand years or more of continuous habitation that Mingulay once knew. The culture of the island was influenced by both Vikings and early Christians and between the 15th and 19th centuries Mingulay was part of the lands of Clan MacNeil of Barra. These are merely footnotes in history, however, for the island has now been more or less deserted for more than a century. The island was abandoned by its residents in 1912 and has remained virtually uninhabited ever since – today it is no longer used even for grazing sheep. Whatever happened to the lost souls of Mingulay? Mingulay’s tale is, alas, an all too common one in the Western Isles of Scotland. Long ago, it had benevolent MacNeil landlords and the people made a living by crofting and harvesting sea-birds’ eggs from the sheer 750 ft cliffs of the western shore. But there was insufficient workable land for the population, and many left their homes to seek a living elsewhere. After the island was evacuated it was first tenanted and then purchased by various farmers from the mainland. By the 1930s there were only two people left on Mingulay, and now all that remains of human occupation are some empty crofts by the eastern shore. The island still, however, attracts regular visits from naturalists and in recent years has also become popular with rock climbers. The National Trust for Scotland has owned Mingulay since 2000 and ornithologists visit the island in the breeding season to study the auks and kittiwakes that crowd in thousands on the cliffs and the three great stacks: Arnamul, Lianamul and Gunamul. The island’s austere beauty and tragic past have also inspired famous folk tunes, including the haunting Mingulay Boat Song. 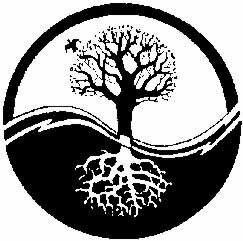 Interestingly, Mingulay is also a focus for paganism, especially for those interested in the Celtic and Norse folk traditions. Viking place names, including a tiny cove at Skipsdale (Old Norse: ship valley), proliferate on the island. This is a legacy of the Viking raids that occurred here for several centuries. Other customs echo the beliefs of even earlier, more primitive cultures. An each-uisge was thought to live in a bottomless well near the summit of Macphee’s Hill, and faery sidhe and their associated music were taken for granted, if generally avoided, while people still lived on Mingulay. The curative powers of the seventh son of a seventh son were assumed to be sufficient for the treatment of diseases as serious as tuberculosis even until the latter end of the 19th century. There is a pre-historic site at Crois an t-Suidheachain near the western landing place at Aneir at the southern end of Mingulay Bay, which may have been a stone circle. All of this has led some to wonder, given the island’s somewhat cursed history, whether some ceremony was carried out in ancient times on Mingulay which offended the very soul of the land, forever leaving a dark mark on the island and rendering Mingulay unsuitable for human habitation.